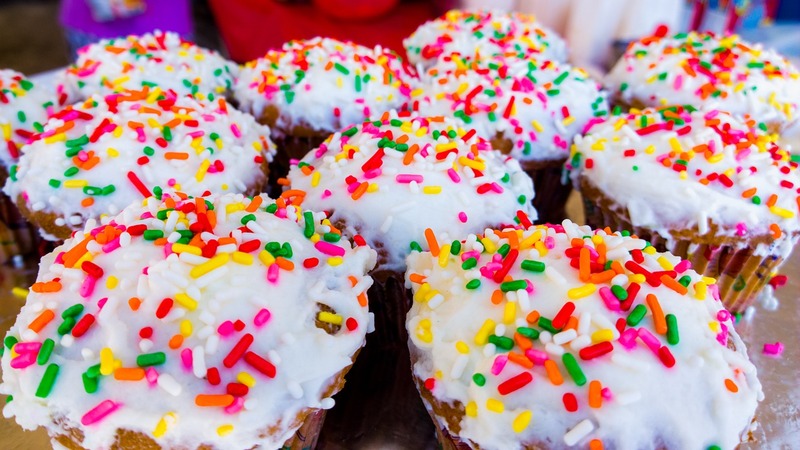 A School Bake Sale can be used by any school as a fundraising activity to raise extra revenue. A Fundraising cake sale is one of the tastiest school fundraising ideas available and easy to organise, ask parents, school governors and teachers all to cook and bring in a large variety of cakes and cookies to be sold at your fundraising event. School Cake sales are very popular, there is always someone with a sweet tooth who will purchase your school cakes at your bake sale, ask for volunteers to make cakes organise a list of cakes that you are looking for, if you just ask for cake donations you might end up with just chocolate cakes. Set out a list of cakes so that a variety of cakes are supplied. You could arrange a list an as people choose that type of cake you can cross off the list. Cakes of any description will sell, chocolate chip cookies, victoria sponges, cup cakes and fairy cakes they will all sell making cash for your school projects. Organise a festive bake sale, ask for festive cakes that you can sell at a Christmas School Fayre. Promote your school cake sale by pinning bake sale poster around your school. Print out fundraising cake sale leaflets and ask children to take them home so parents know the time and place for your fundraising event. A great way to boost your profits at a school cake sale is to organise a school fundraising cookbook full of all the great cake recipes, people can try the cakes, buy your school recipe book and then go home and bake their own cakes using the recipes in your school cookbook. Sign Up For Our Newsletter, we will keep you informed of special offers on our products plus keep you up to date with new fundraising products.